Table Tennis, the most popular indoor sports of all time. We all know this game. You’ve seen it at your school or on some sports channel. Some call it Ping-Pong while others call this game Table Tennis. But there is some difference between ping pong and table tennis. Both refer to the same game. So, what is the actual name of this game? To know more about the origin of the game, check out our history of table tennis article. We’ll be talking a little bit of history on this article, so sit back and read through the rest of this article to find out. We won’t talk about the earlier times of this game. We’ll just skip to the part where all the confusion was created. In the 1980’s (that’s a little bit too early) we all know that different manufacturers used various patented trademark names. The market leader of that time was English sports company, John Jaques. In the 1920’s they were the most popular manufacturing company for this sport. When they came with their own version of the game which was called “Ping Pong”. The decision they made eventually led the downfall of their company. At that time this sport was getting very popular, so to spread their dominance they decided that they would only allow their trademark name “Ping Pong” to be used if only their brand of equipment was specified exclusively. You might be wondering, what’s wrong with their decision? To find out we need to dig deep into other trademark names that different manufacturing companies used. Emma Barker filed an American patent (Number 454,700) on 21 January 1891 which was a net fixture. That patent had a sketch of a table which resembled a lawn tennis court laid out. It was referring to the game lawn tennis. This game was pretty much played like lawn tennis, using rackets with straps for the hands. Debates started when an advertisement company in the USA proved that the game was made under the name Indoor Tennis. It was proved by Spalding in 1891. Then there was Gossima by John Jaques. We have heard some people quoted John Jaques as the person who invented table tennis, but this isn’t correct. You’ll find out why. After a full year after David Foster’s Table Tennis game in 1980, John Jaques & Son registered Gossima under Trademark number 157,615 on 16 July 1891. Their version of the game used vellum drum battledores. It was first seen in a shuttlecock game. For the ball, they used 50mm webbed cork and the net was 30cm high. At that time the game of tennis on a table used rubber balls. But neither was a success. Both games were considered failures because of the inadequate ball. Problem with the rubber balls had too much bounce and with cork balls too poor bounce. But this failure was followed by success after the introduction of celluloid ball. It was not until 1900 that the game revived. After celluloid balls came out it became an instant success. This was found to be perfect for the game. And so along came Ping Pong. It was trademarked on 20 September 1900. It was trademarked by Hamely brothers who became partnered or should we use the term “jointly concerned” with Jaques. It was then the game was renamed first to “Gossima or Ping Pong” and then “Ping Pong or Gossima”. The name didn’t stick too well so they decided to finally rename the game to “Ping Pong”. At that time, another name was used by Slazenger & Sons which was called Whiff-Waff. It was registered on 31 December 1900 as “a new game” – Trademark number 235,131. As we have mentioned earlier, it wasn’t Jaques who invented table tennis. It was Englishman David Foster. The ITTF has done thorough research on this subject. A lot of things changed over these years. No one uses celluloid balls anymore. They lowered the height of the net. Different rules were approved. This game got international recognition. At this point, Table Tennis and Ping Pong are identical to one another. So, what’s the difference between Ping Pong & Table Tennis? The difference is in the name. Seriously we are not joking with you. We know this is obvious but it does have a lot of history behind it. So again, let us deep in the depths of history, again! The name Ping Pong is still used today because it was promoted extensively in the early 1900’s. At that time the equipment manufacturers promoted Ping Pong and therefore it became ingrained in people’s mind. Ping Pong is still a federally registered trademark in the USA. The name remained in popular use by the media all around the world. 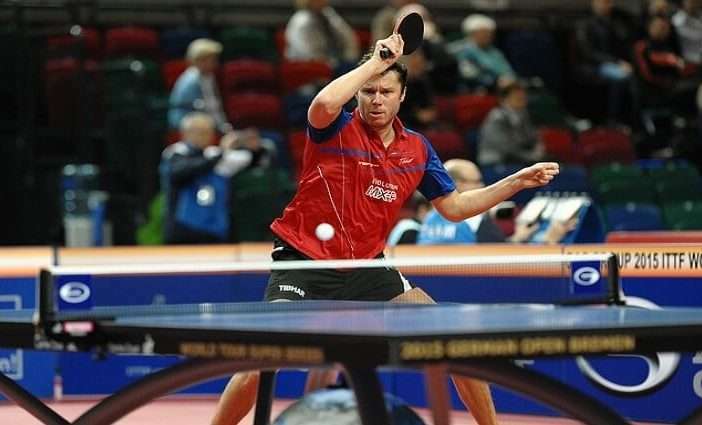 Although a lot of people still use the name Ping Pong, the official name of this sport is Table Tennis. In 1926 it was chosen to be the official name of the sport. So, in the end, the only difference between Ping Pong and Table Tennis was in the name. If we told you this right from the beginning you wouldn’t have believed it.